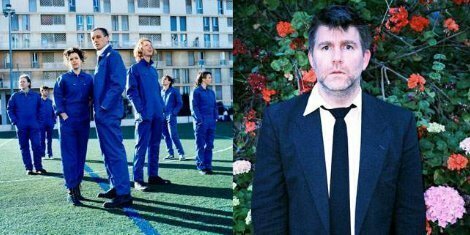 When new surfaced last year that Arcade Fire was working with James Murphy on the follow up to their 2010 Grammy winning album The Suburbs, people's excitement was certainly peeked. Well today on Murphy's label Death From Above's studio twitter it was announced that Arcade Fire is in New York City, working with him on the new record and has been for some time apparently. Arcade Fire STILL with us at DFA... This is going to be one great sounding album! Murphy and Arcade Fire have a long running mutual admiration, from performing co-bills together, to everyone's favorite Canadians performing at LCD Soundsystem's farewell show at Madison Square Garden, joining Murphy and company on "North American Scum". While no name or release date for the record have been mentioned, drummer Jeremy Gara told an Ottawa radio station back in October that the band was hoping to have the record out in late 2013. I think I speak for all of us when I say I absolutely cannot wait to hear what this pairing comes up with.